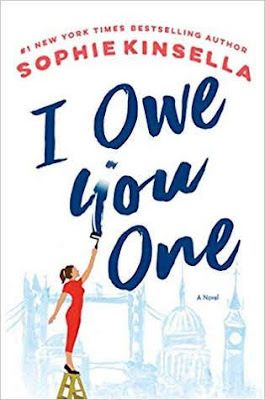 I just love Sophie Kinsella's books - they have the perfect mix of heart and lightness! It's been so long since I read one of her novels! I will have to add this to my TBR list. Great pick! I've had this one on my list as well. Sounds like fun, right? Definitely looking forward to this one - I have really enjoyed her last couple books! I can always count on her for a good read! I am not sure about this one, Kinsella is hit or miss for me. I am going to watch for your review. Hope you enjoy it! Kinsella books make me happy, and therefore, I will always read them. This sounds fun, especially the IOU that changes everything! I know, such a fun premise! Terrific choice, Angela! I have this one coming up and cannot wait! Awesome, Jennifer, can't wait to hear your thoughts! This just made me smile so much -- what a lovely, lovely premise this is! Her books are just so light and fun! I haven't read anything by this author. There isn't that long of a wait till it comes out too and that is nice. I hope you get a chance to read it! I'm starting this one next! So excited!